I read your comment (Facebook post dated Jan. 14, 2019) in response to my post regarding the suspension of political activities at the University of Liberia. I like to provide few preliminary comments on your ill-fated and irresponsible post in this premise. First, you have stated that ‘no CDC element was involved in the disruption of classes on the main campus’. Your claim is false. the reality of the disturbance on the main campus of the University of Liberia is that two Assistant Minsters in the CDC led government were visibly seen dropping off zogoes who began stone throwing on the main campus of the University. Assistant Ministers Alvin Wesseh and Eddie Talawaly dropped of these criminal elements that disrupted academic activities at the University on last Friday. Second, you have claimed that ‘I have flouted the UL Code of Conduct by attacking the CDC government’. Let me inform you that I am a Political Scientist and a Development Specialist. I am also the current Vice Chairperson for National Affairs of the New DEAL Movement, a National Political Party in Liberia. By this, you need to know that I am an opposition Politician. In all these capacities, I have the right, duty and obligation to observe, review, analyse and monitor government’s policies, comment on them verbally and through written publications and make recommendations where necessary. This task is my national responsibility to the state and the People of Liberia. In addition to this, as a Full Time Lecturer at the IBB Graduate School of International Studies, I am suitably placed to comment on national and international policies based on the National Interest of Liberia (security of the state and the wellbeing its people). I can understand your academic limitations for which you would wish to hide behind Code of Conducts to restrict academic freedom, civil liberties, free speech, and democratic governance. I will comment on your academic inadequacies in the concluding part of this open letter. Third, you have said that ‘I have consistently attached the CDC government and accused it of corruption’. Indeed, this is great compliment to us. In lieu of our state and national duties as (Political Scientist, Development Specialist, and Full Time Lecturer and a National Politician who served as one time Chief of Staff in the Office of the Chair on Executive, House of Representative; Assistant Foreign Minister for Africa, Asia and the Pacific; and Deputy Foreign Minister for International Cooperation and Economic Integration), we have the moral responsibility to critique the CDC led government. For the first year of the CDC government, evidence shows that the government is about 100 times corrupt than any government that has existed in the history of Liberia. Under this government, billions of dollars in containers went missing since March 2018. Up to date, the government has not shown both Liberians and the international community any iota of proof to absolve itself of the missing billions. What we rather see is the massive construction of personal properties by top government officials, the purchases of villas by government officials. Also, the 25 million US ‘placed in the hands of the Ministry of Finance and Development Planning to mop up excess liquidity’ is yet to be accounted for. Simultaneously, the exchange rate of the Liberian Dollar to USD is still rising. The prevailing rate is now around 161 LD to 1 USD. This means that the so-called mopping up expedition has fallen flat on the ground. Besides these egregious economic mismanagement practices and crimes, there are several other corrupt cases found across government ministries and agencies. All of these have not been appropriately dealt with in the premise of President Weah’s promise that ‘he would end corruption’. Fourth, you pride yourself as a CDC stalwart that protects and defends the party. I must unequivocally state that you are not a genuine partisan of the CDC for the following reasons. 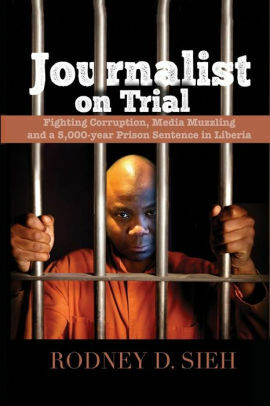 You cannot claim to be a genuine CDC partisan when you have told us several times that ‘President Weah is the wrong man to lead Liberia, but you are on missing as part of his party and government to get your share of corrupt resources because you know that no one (both former and present officials) will be prosecuted for corruption under your government’. You made these claims in our GD Building offices on campus. Other professors on campus were present and can attest. You did not stop there, you have said your ‘current boss, is inept and unfit for the post, but got it by offering her body to President Weah’. You have told us that you “are the one running NOCAL due to your current boss’ incompetence”. For the record, I am strongly convinced that your boss is more academically fit than you. I will address this in the closing parts of this open letter. Additionally, you cannot be a genuine CDC member when you characterise the Finance and Development Planning Minister ‘as unfit and incompetent’. In fact, you claim to be the one to replace Comrade Tweah. How can you, an academic and economic criminal, ever become a Finance and Development Planning Minister? A genuine partisan will work with his or her fellow colleagues to address problems facing a party and a government. A genuine partisan will not praise the President and Party only on Facebook and come on the University campus to condemn the President of the Republic, his boss and other officials working in the same government without evidence on the issues under discussion. Instead of being a true member of the CDC, you are rather a snake in the green grass seeking the slightest opportunity to squander national resources as you did during the construction of the Belleh Yalla Road in Gbarpolu County (more details to be provided in the closing parts of the letter). Fifth, you have said that “I was fired for what is alleged to have been inappropriate financial behaviour at the MOFA, and that your government is yet to pursue me on these issues”. Great that you have used the word ‘alleged’. I am proud to have served in the Post of Deputy Foreign Minister for International Cooperation and Economic Integration under the aegis of comrade Minister Augustine Kpehe Ngafuan. Regarding the fraudulent acts surrounding the Japanese grant across several ministries and agencies including the MFA, all Liberians should hail me as a national icon for standing against fraud, abuse and waste of national resources. I provided evidence to the media including the New Democrat in the context of the Freedom of Information Law indicating the extent to which the Japanese grant intended to support government’s implementation of projects that have social and economic impact on the poor was being abused and corrupted. I even wrote the Senior Management Team of the Foreign Ministry and Office of the President about a colleague Deputy Foreign Minister, who in collaboration with his project manager squandered over $220,000.00 US from the $360.000 US grant given the Ministry for institutional capacity development prior to my arrival from Australia to take on the post. That corrupt Deputy Minister still serves your CDC led government. My claim can be verified and validated by the forensic audits conduct by the Internal Audit Agency and the General Auditing Commission. Mr. Tenny, the audit reports mentioned above are pubic. I further questioned the Presidency on how a Naturalized Liberian would become a Deputy Foreign Minister, something President Sirleaf viewed as a direct challenge to her appointing powers. So, my evidence provided to her regarding the massive looting of the grant and to the press validating the stolen components of the Japanese grant across government as well as my challenge to her appointing authority made me to leave the post at her will and pleasure-an action that is constitutional as all minsters serve at the will and pleasure of the President. I am exceedingly proud to have been one Liberian standing up against fraud, waste, abuse and corruption of public resources. If I have the chance to do that again any time in public or private service, I would not hesitate to do so because a single dollar stolen from public resources leaves several others to live and die in poverty. Furthermore, since this is your government, I challenge you and your government to review all audit reports from the past administrations and prosecute all public officials including you and private entities that used public funds for their personal benefits. I equally urge your CDC led government to account for our missing billions that have gone missing, corrupted and misappropriated under the leadership of President George Manneh Weah that is presently engaged in massive construction of real estate properties that he could not construct during his days as a sports icon and millionaire. I am certain that the prosecution of all corrupt former and present officials will include you for your role in mismanaging, abusing and squandering funds intended for the construction of the Belleh Yalla Road in Gbarpolu County. For the record, you publicly told us (some Lecturers at the UL Graduate School) that you got half million USD (500,000. US) as your cut or share of corrupt funds from the project-reasons why the project did not get successfully completed. You further indicated that it was from this money that you built your real estate properties on the RIA highway. You are still constructing structures in the same terrain (pictures will be published soon). In my view, you are a common criminal that must be arrested, prosecuted and thrown in prison, and your property from the corrupt public funds confiscated by government. I am prepared to serve as a state Witness in this regard because I was present when you divulged this to us in our Lecturers’ lounge at the UL Graduate School. Finally, since you situated your comments in the context of the University of Liberia, a place of academic excellence in Liberia, I like to provide public information about your fraudulent academic records at the University of Liberia. You always pretend and claim to have earned a bachelor’s degree in economics from the University of Liberia. I challenge you in this public manner to produce a legitimate undergraduate diploma and transcript from the University of Liberia. If you provide such document from the UL, I will immediately resign my employment at the University. For the record, you did not complete any undergraduate degree at the University of Liberia. The truth is that you failed in the Science courses several times and therefore transferred from the Science College to Business College where you did not complete any degree and joined some SUP comrades that Liberia after the March 21, 2001 invasion of the University by Taylor’s SOD police force. Since then, you have never gone back to School, but criminally obtained a transcript from the Admission Office, used that falsified transcript to get an online master’s degree from UK and used that online degree to obtain a bogus and so-called Doctorate degree from Nigeria. I challenge you to proof this contrary. Mr. Tenny, I know all of this because I was then the Chairman on Membership, Recruitment and Mobilization of the Ever-Potent Vanguard Student Unification Party (SUP). You claim to be a veteran of SUP, but for public record, this is false. To become a veteran of SUP, you must remain a member of the Party and must have graduated from the University. Yes, you joined SUP as a ruling party when we defeated your former party STUDA, but you did not graduate from the UL. So, you are not a SUP Veteran. In fact, we are not surprise of your move to the CDC as you always enjoy being party of ruling parties. In view of the above, you cannot be considered a substantive holder of a Doctorate degree. I think President Weah is better off having gained an honorary Doctorate than you who claim to hold a Doctorate without a bachelor’s degree. Therefore, you are Mr. Tenny, not Dr. As a matter of fact, your name did not appear in the Convocation Book of the December 2018 Convocation held on 12 December 2018. I challenge you to show where your name as a Lecturer at the University can be found in this Book. Our names as Lecturers are printed in bold letters. We obtained our excellent academic credentials transparently rather than yours that are beclouded with fraud, tricks and forgery. I thank you, Mr. Tenny, for opening a window of opportunity that we will use to expose your fraudulent academic and economic reputation. Thanks also for recognizing our role as opposition politicians who are holding your government’s feet to the fire. We know for sure that our advocacy for transparency, accountability and democratic governance is touching lost souls like you that are dragging our country back into the dark ages. 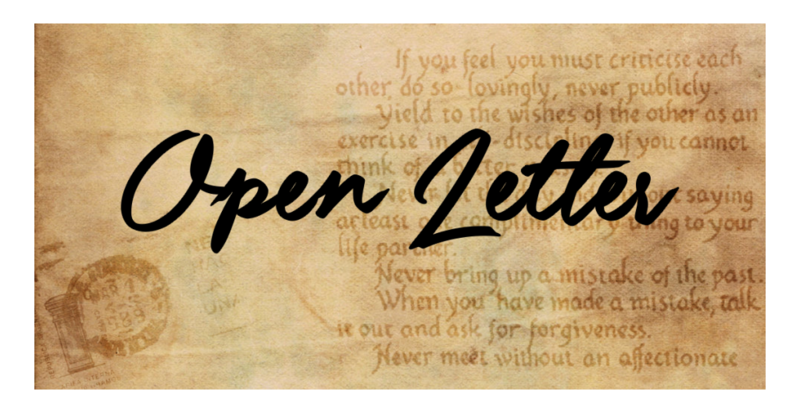 With this preliminary open letter, the battle has begun. Watch out for Part Two on your Fraudulent collection of monies from Students and Thesis Candidates at the MBA/MPA Graduate School at the University of Liberia. Thomas Saidy Bah Kaydor, Jr.